FOOD, man cannot live by whisky alone. Share your recipes, food pairings, experiences with, or pictures of table fare. 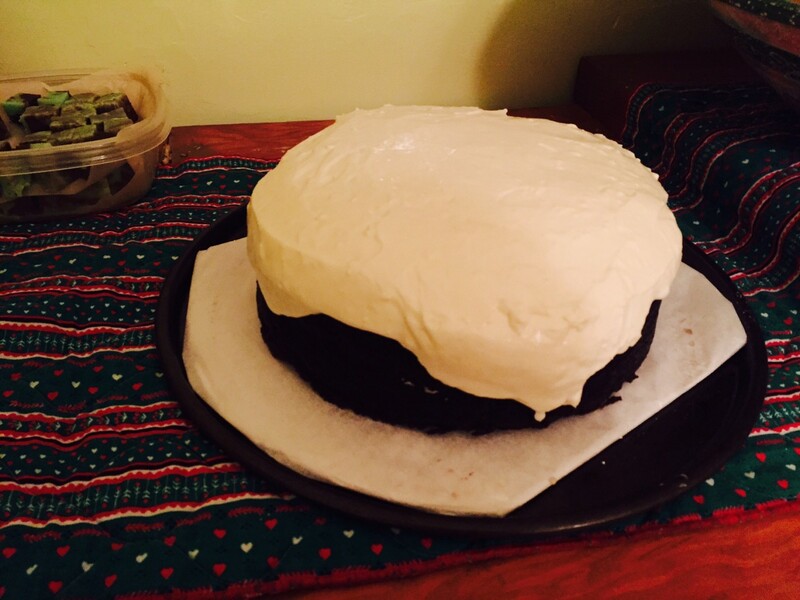 @RianC, the incredibly delicious Chocolate Guinness Cake, by Nigella Lawson, Featured in FEAST. 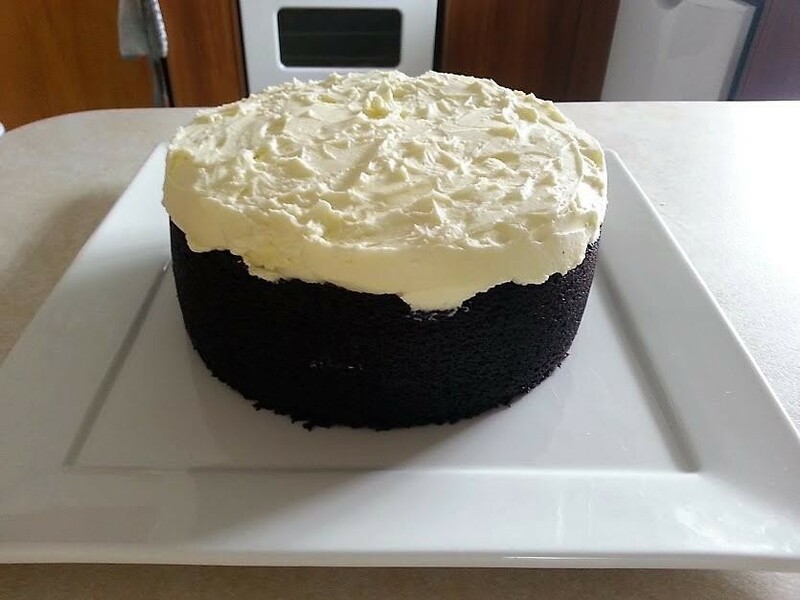 This cake was presented at a tasting at @Nozinan's by @fiddich1980...it was an instant hit....everyone wanted the recipe. @paddockjudge first a photo of a meatball sandwich served with Stella, and then sharing the link to Nigella's recipe for Guinness chocolate cake?! You have made my Sunday. Thank you! 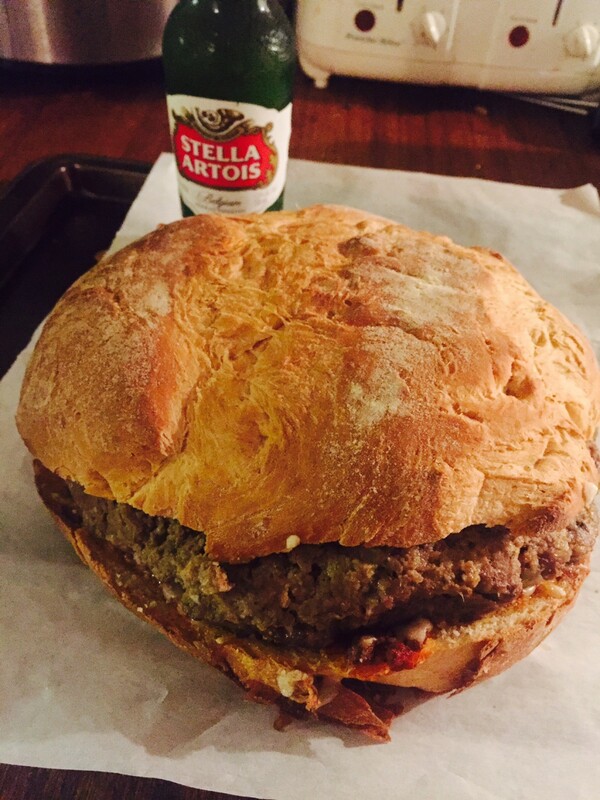 @paddockjudge, damn man... That's one whopper of a meatball sandwich. I know what I want to eat this week. @RianC I've always had a weakness for Nigella, hers first two books were not only well written but were clearly coming from someone who just loved food so much. Her candid style in the Nigella bites TV show was refreshing as well. That she happened to be foxy was something else altogether. 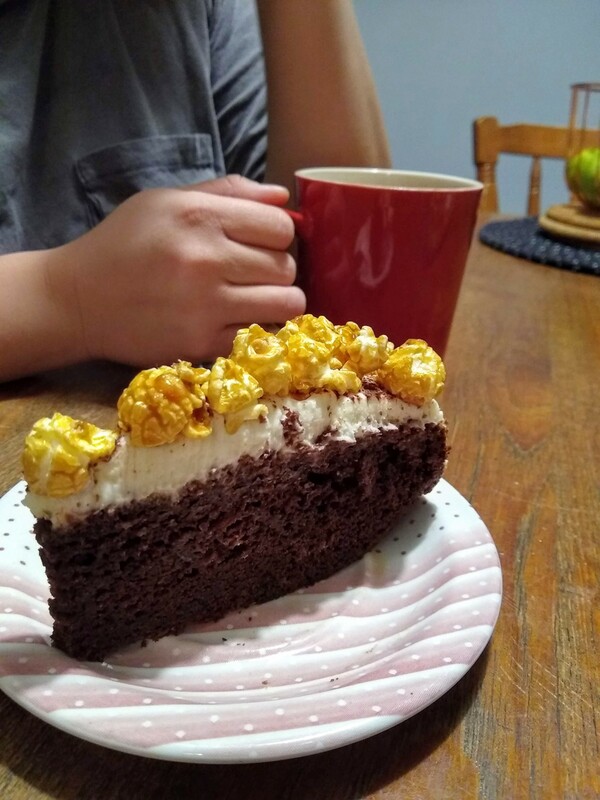 Ok so here's the Nigella cake, made using a Coffee milk stout from a local brewery and toped with maple caramel corn. I know, I know heresy but the crunch of the popcorn offsets the decadence of the whole affair. I've made a couple of Guiness Cakes, this one was shared on Christmas Eve...@fiddich1980 you've spoiled us. I'm happy and at the same time, stunned to see this cake has given everyone such pleasure. @paddockjudge lovely cake! now...is that fudge I see tucked to the side?! @archivist there's definitely a difference when swapping beer but it's subtle. I found it most noticeable when eating the leftovers in the following days. @RianC for the beer I used a bottle of my home brew, what I called double stout. It has lots of chocolate and coffee notes but is quite bitter. You definitely don't notice it in the cake. I'm sure she'll love it. You'll just have to make it to convince her. The cream cheese icing is a perfect foil for the richness of the cake (and I didn't add the cornflour to the icing - it seemed unnecessary). Just made a very authentic Chick pea curry (or Chana masala). It's from the Guardian so hope it works out of the UK - if not, PM me. I've made them before and always felt they were missing something but this one really hit the spot and took me back to my first time in India eating that very curry from roadside Dhabas in the Punjab. Really rich, meaty (yes, it is!) and perfect with a Bath ale and Ardbeg 10 - it brought the smoke and sweet side out beautifully. My only tweak is the garam masala at the end. I make my own which is basically 2 finely chopped bay leaves, 2 split cardamom pods and 4 cloves quickly fried in a good knob of butter (or ghee) for about 30 secs then add a good pinch of cinnamon and a 1/2 to 1 tsp grating of nutmeg. Give it all a quick swish in the butter then add it all to the curry. @RianC Nice share, These kind of pulse dishes can be so fulfilling (and filling also), especially in winter. I think I will tackle this soon, I don't cook Indian food all that much because I am spoiled near my work and partner's place with really stellar Indian restaurants. It's too easy to just pick-up but it's much more satisfying to cook them yourself. @cricklewood @Hewie - It's nice when one finally hits on a recipe that delivers a taste that you've been searching for! This is going to be part of my repertoire for sure! Cheap as chips too! I had it with chapatis which were perfect for scooping it up. I had a bout of Insomnia on Thursday evening, so rather than tossing and turning I channeled it into baking. 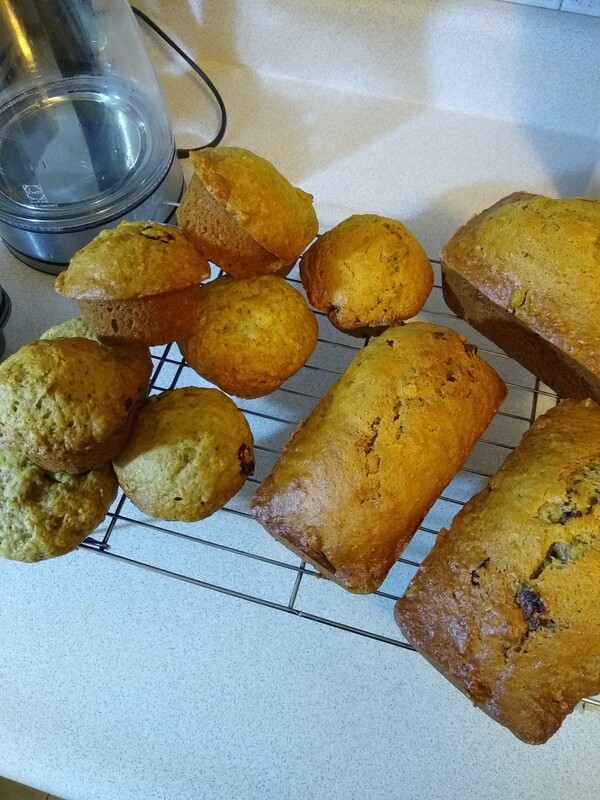 Persimmon bread, modified from a James Beard recipe, it also calls for about 2/3 cups cognac or whisky, so Leopold Raffin and Four Roses came to the rescue. I baked the remainder in a muffin pan for the sake of expediency. 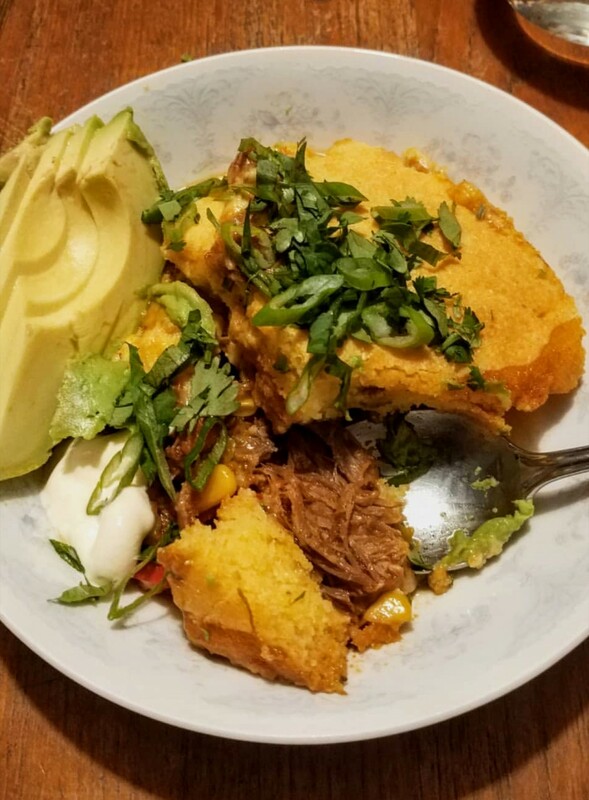 I made tamale pie over the weekend, killed the last of it tonight. This is one preparation I come back to often. You can make the base simple or gussy it up if you choose and I am a sucker for cornbread. @cricklewood I'm a sucker for cornbread and that looks really tasty. Care to share your recipe? @Hewie I don't use a recipe much for this but kenji Lopez-Alt's version is good. Can't go wrong with his work. I often use braised pork shoulder instead of beef and works well.